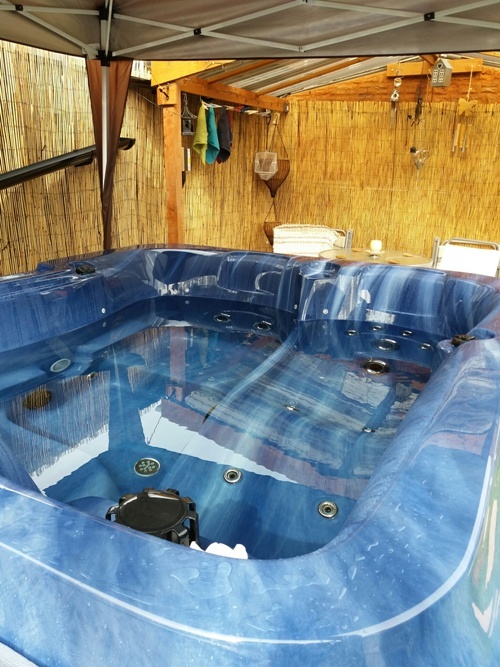 Here are some amazing stories of the health benefits of our hot tubs. 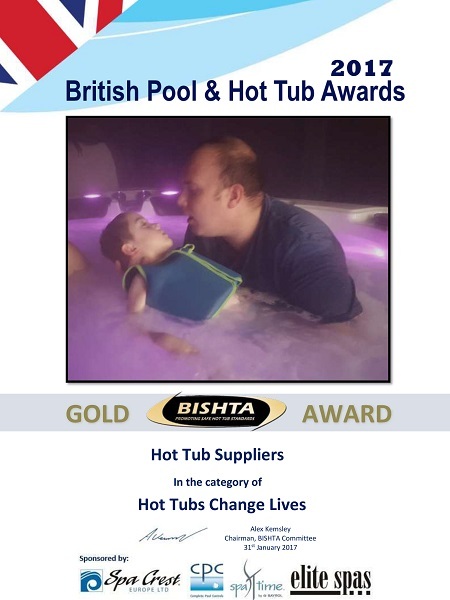 We wanted a hot tub for the family and more notably for our son who has a disability where he has tightness in his limbs thus reducing flexibility in his joints leading to restricted movement. 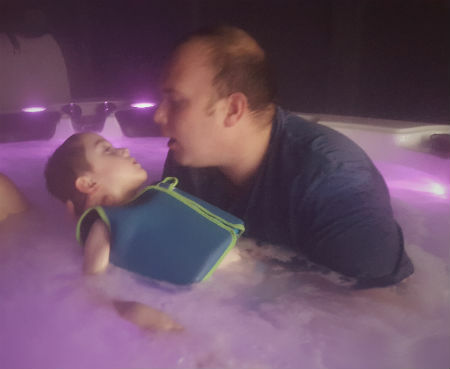 We were advised a good hydrotherapy hot tub would assist with helping the tightness/flexibility/movement issues he was experiencing thus leading to an increase in movement and confidence and also as the hot tub was so big, we could sit with him and take extra satisfaction from being together as family. 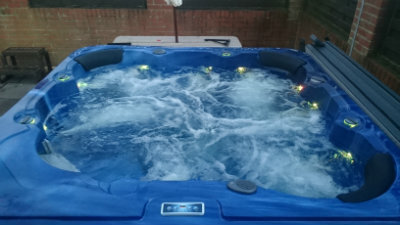 We bought the Poseidon hot tub and we are very happy , the hot tub is fantastic and the service and delivery was 2nd to none. 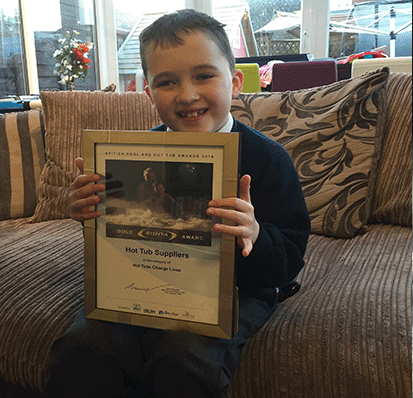 As a family we are very happy and our son now has increased flexibility in some joints which is brilliant to see and I do truly feel a reduction in pain. 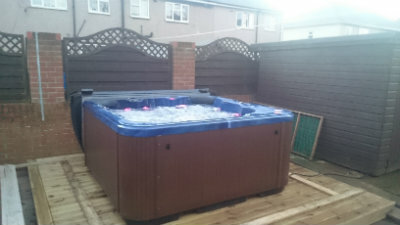 With the use of a hoist, he use's the hot tub on a regular basis and thoroughly enjoys it. This has been a fantastic investment for the whole family, and only wish we had purchased this sooner. Derek & Tania ordered a Poseidon in pebble grey with a grey cabinet. 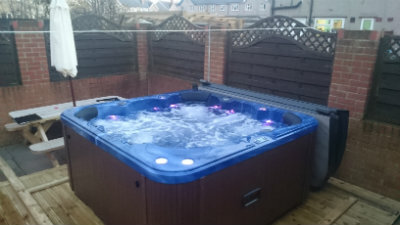 In March 2013 I purchased a Hera hot tub from Hottubsuppliers. 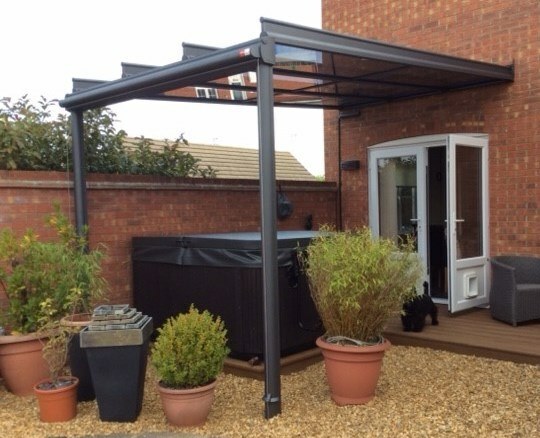 The seller was very professional and gave us really great advice during the installation. 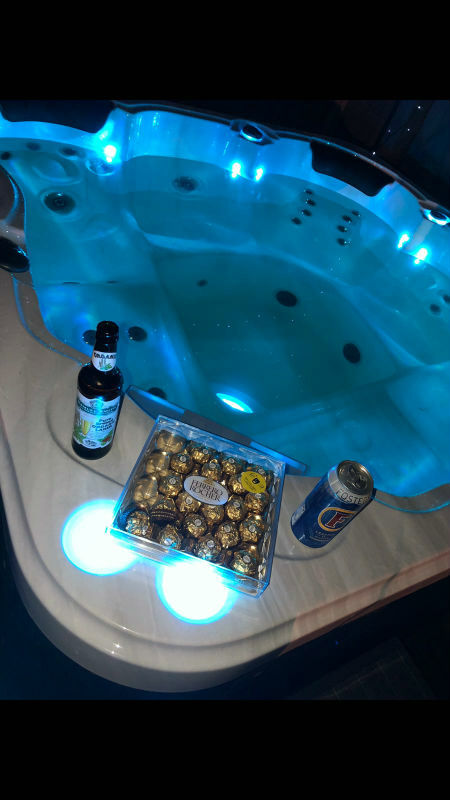 We managed to get it installed indoors in April and since then my family and friends do enjoy this wonderful hot tub with many great features. 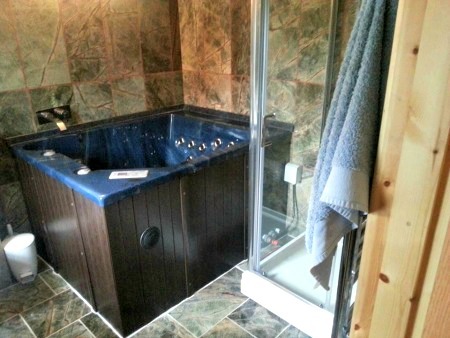 Firstly, it is quite spacious and two people can get in without a problem. The jets are very powerful and do an amazing hydro massage on the back and neck. 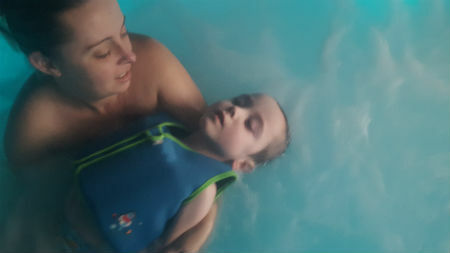 I do have a neck problem especially in wet and gloomy weather, however 20-30 minutes in the hot tub help me carry on through the day without a problem. The power of each jet can be manually adjusted to your liking. 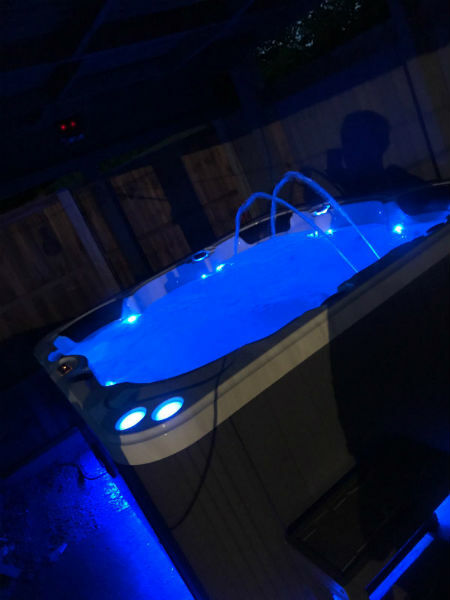 Furthermore, this hot tub has some “mood lifters” as well – radio with inbuilt speakers and underwater colour changing lights. 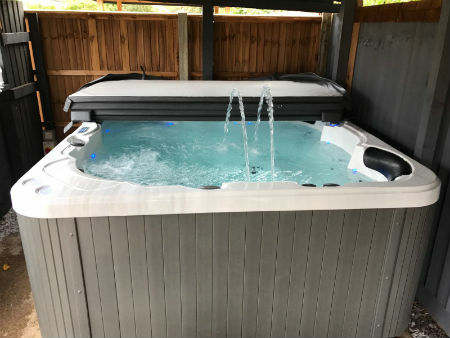 Overall, this is a great hot tub with plenty of features and all this comes with a wonderful pre- and post-sale service. Well worth the money and I would recommend it to anyone enjoying a home comfort. Rossen ordered a Hera in Mosaic Blue with an Oak cabinet. 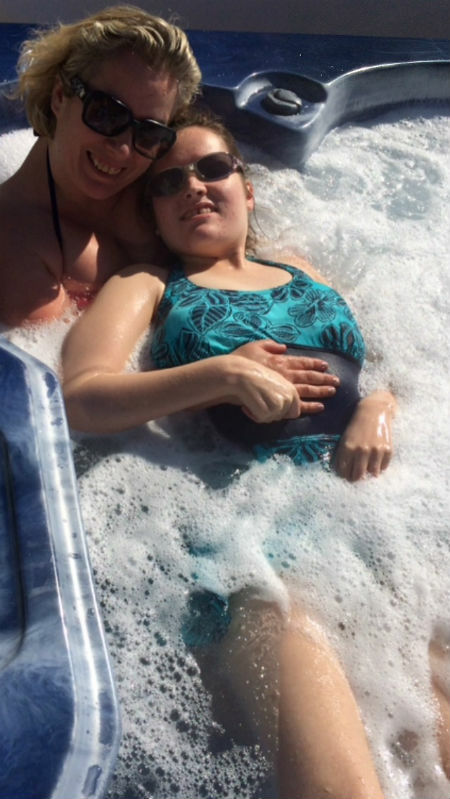 We did our research of Hot Tub Suppliers when it was suggested that my wife would benefit from a tub after a serious car accident. 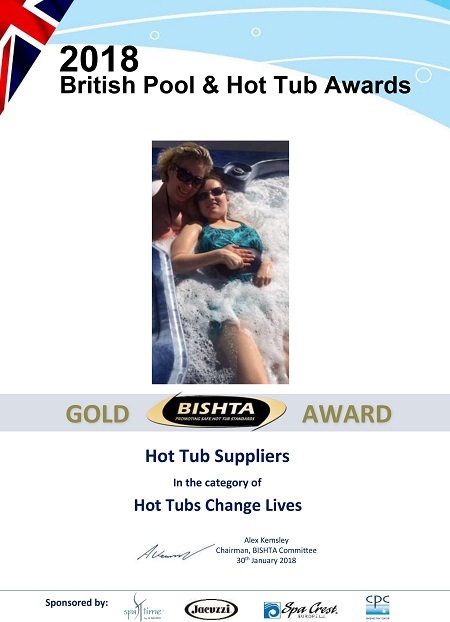 We shortlisted companies and decided upon Hot Tub Suppliers based on their feedback, range of tubs & prices. Arun was patient as we discussed our needs, advised on the appropriate choice of tub, the logistics involved, location and of course the delivery. We ordered a less popular colour and had a few weeks wait before it came into stock. 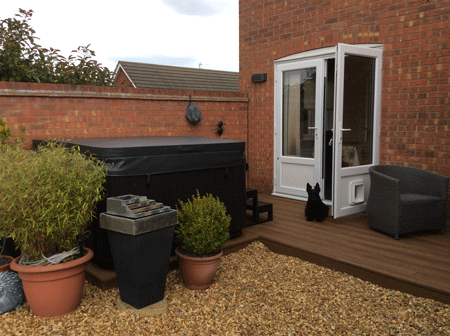 The delivery was made easy as we could take down a fence panel and access via the back garden. 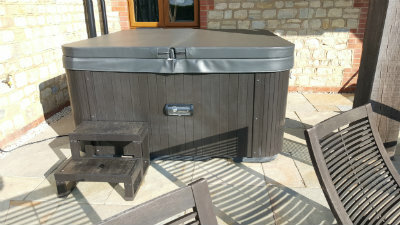 The delivery guys had to work hard to cross the gravel in the garden, but managed and carefully placed the tub in its new home on our deck. Setup and commissioning were all straight forward and within 24hours we were up and running! 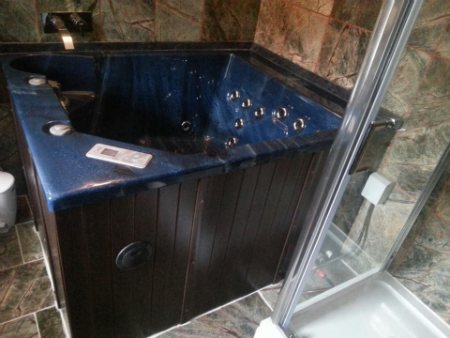 The tub gets used at least 5 days per week and the benefits to my wife’s health are evident. My property isnt very easily accessible but Arun assured me every step of the way helping me source a crane and I purchased a product worth every penny at a fraction of the cost from other 'named brands'. 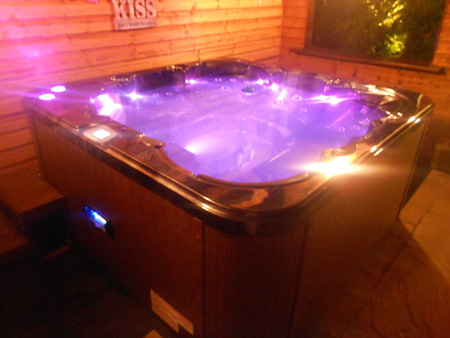 We are delighted with our purchase and have used all through the winter including new years eve. Best still we now have the true costs on our electricity bill - £7.50 a week, less than a family gym membership and far more fun. 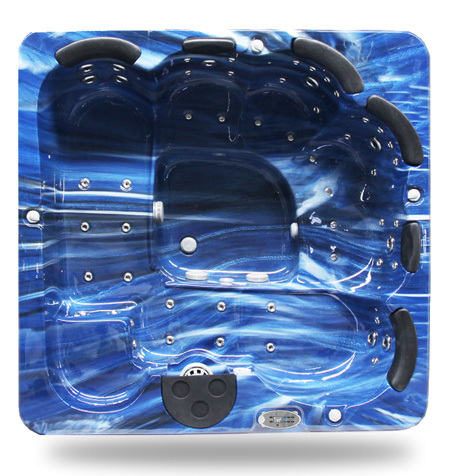 Tracey ordered the Perseus Deluxe in Mosaic Blue with an Oak cabinet.